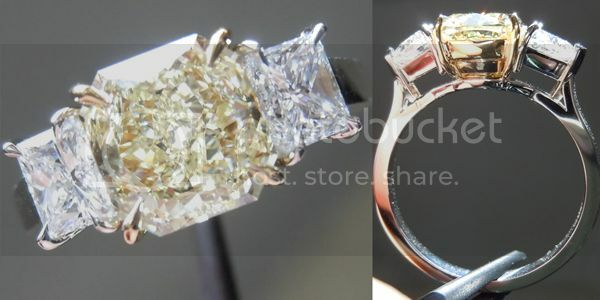 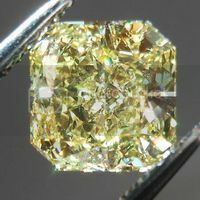 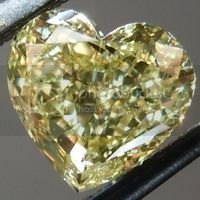 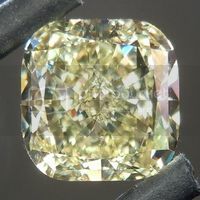 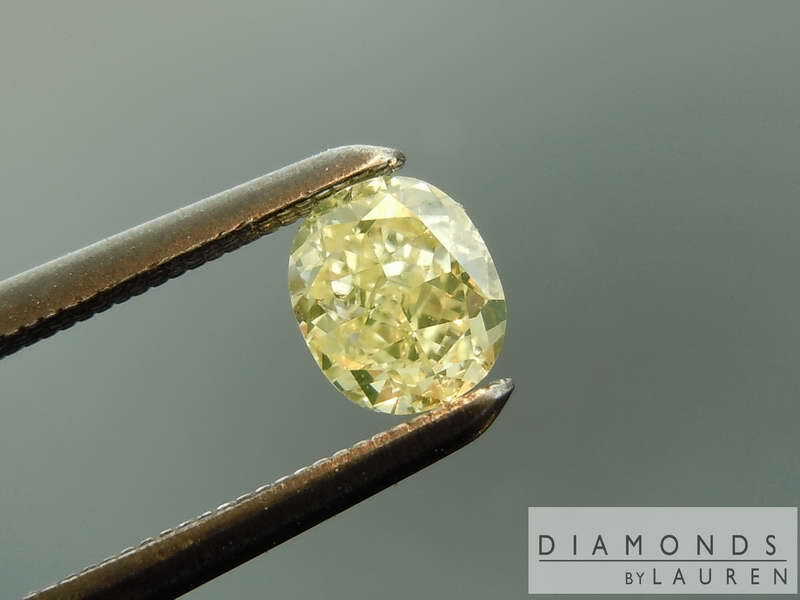 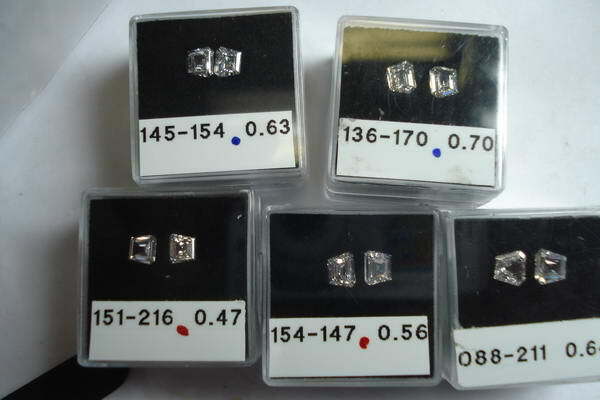 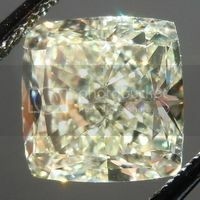 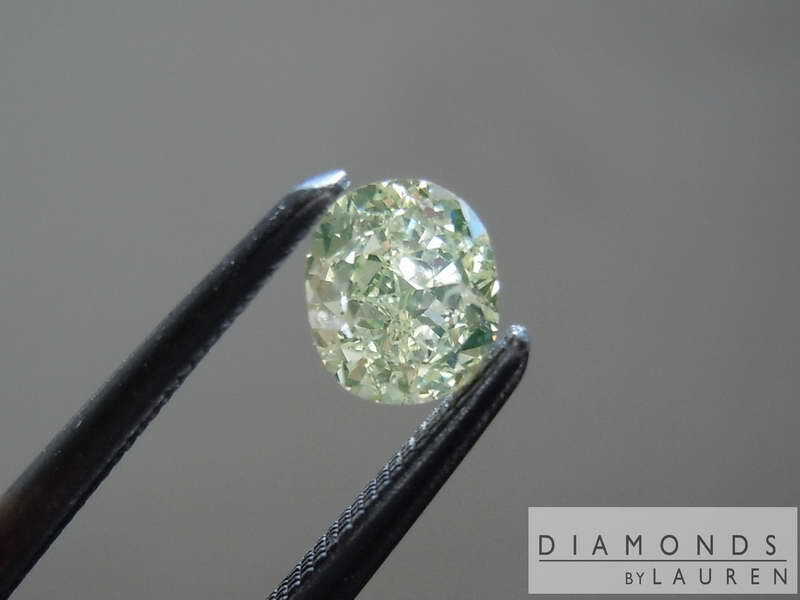 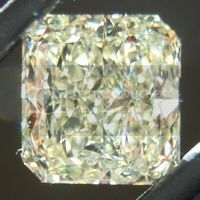 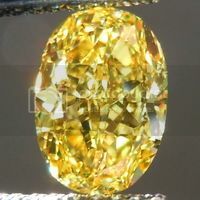 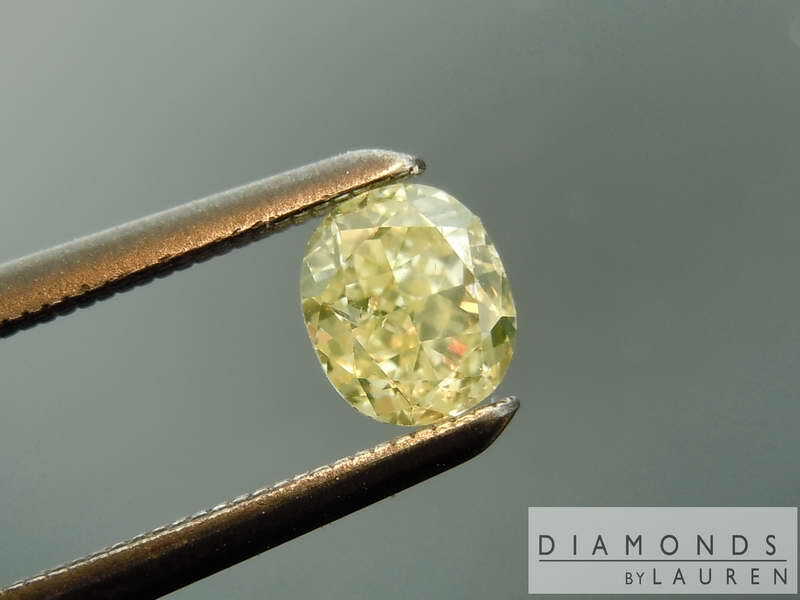 Here's a very cool "Frankenstone" diamond. 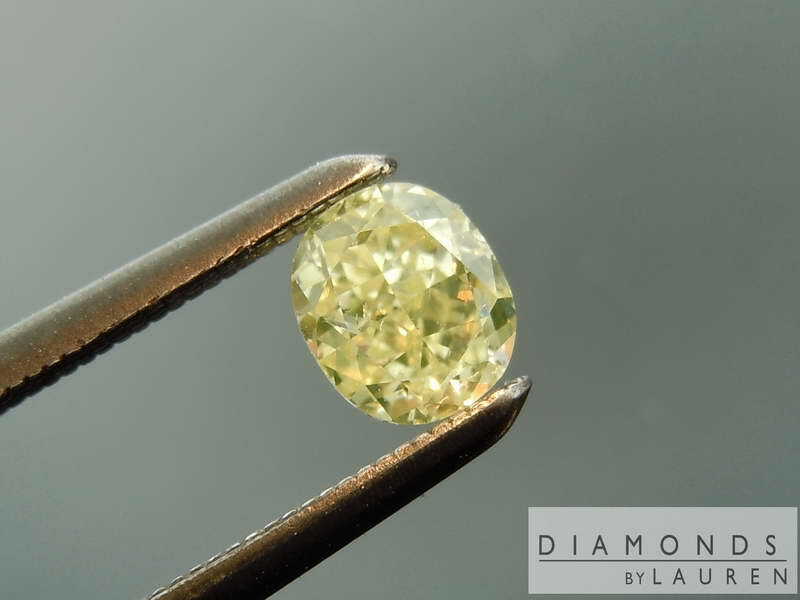 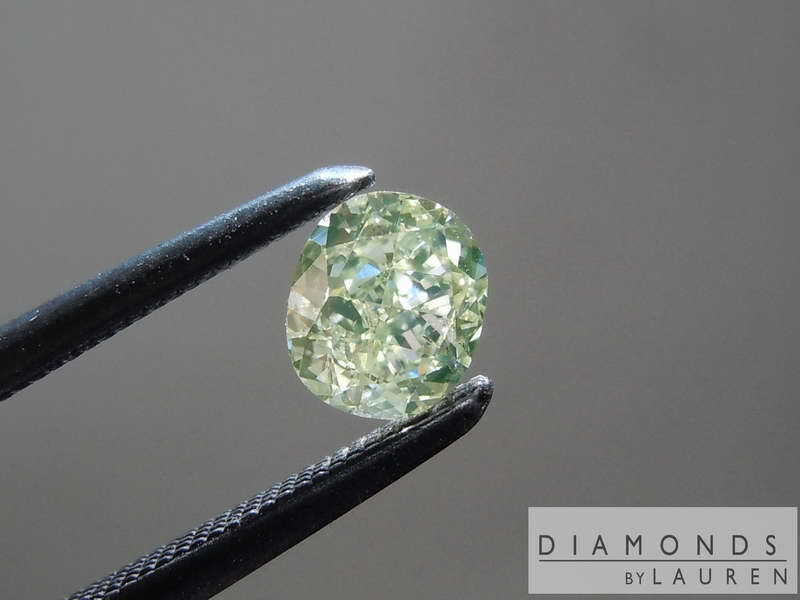 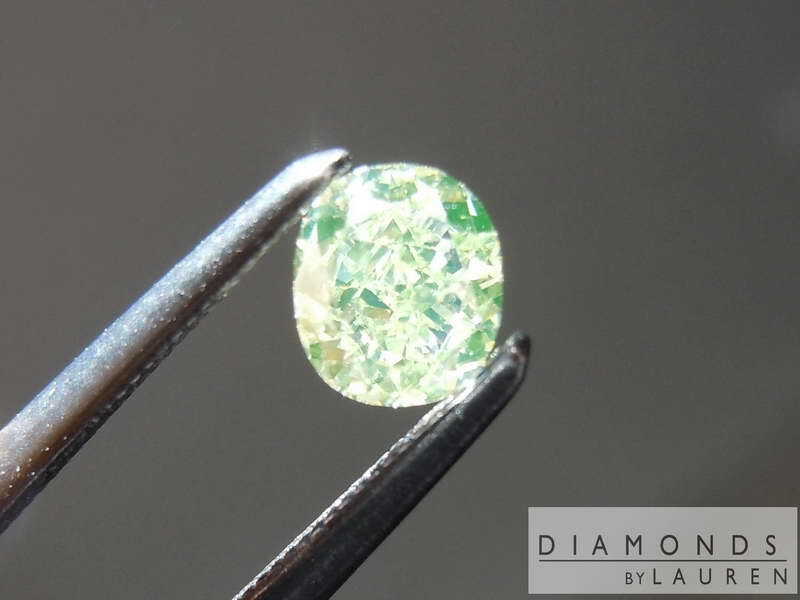 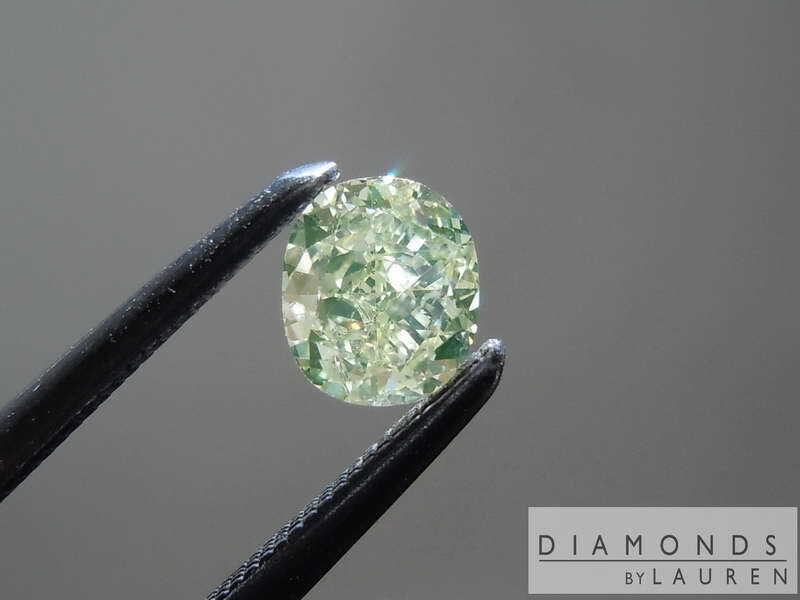 The fluorescence gives the stone a very cool green glow in any sort of natural lighting. 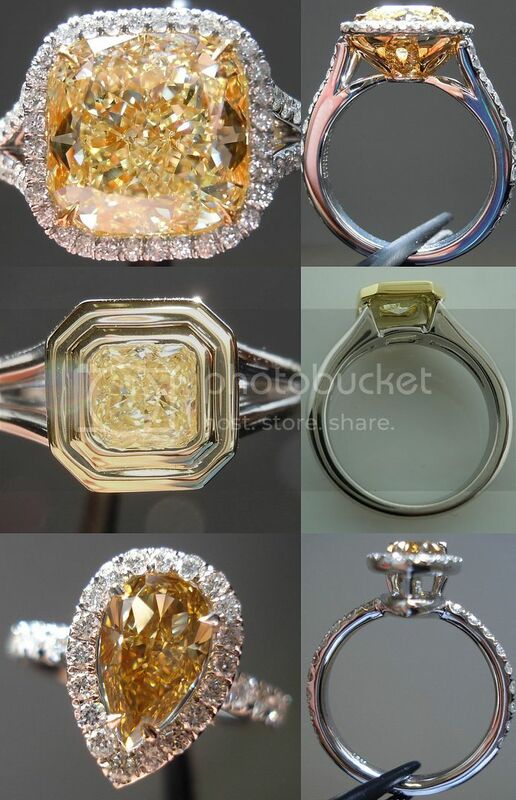 In the evening or totally indoors, it looks more yellow. 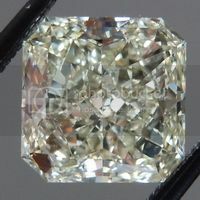 Nice outline on the cushion. 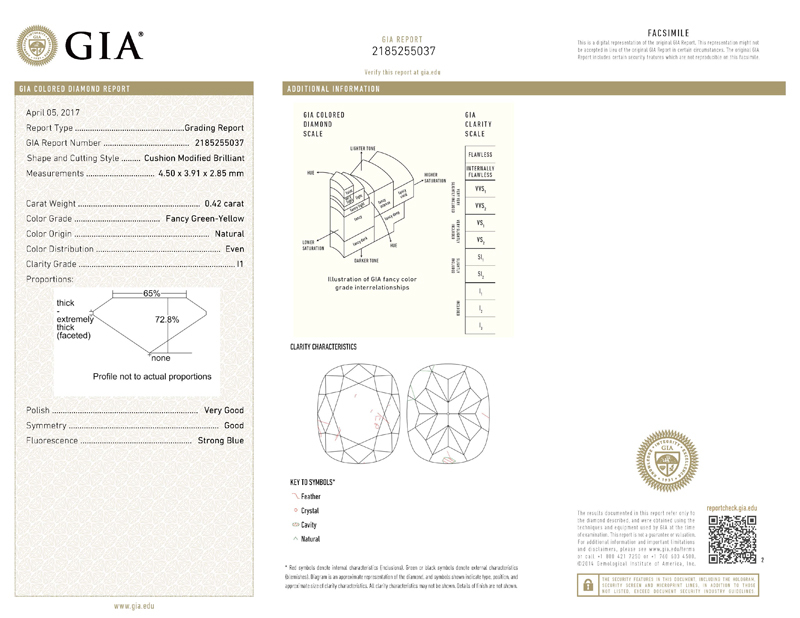 It is I1 in clarity, yet it's quite brilliant.